How to successfully rent out your property in Malta! Got an available property for rent in Malta and need help leasing it out? You’ve come to the right place! Here at Quicklets, we specialise in lettings of all kinds. From long lets to commercial letting, our expert knowledge about the local real estate market will surely help you lease out your property in no time! Here are our 5 tips for successfully renting out your property in Malta. Preparation is of key importance when putting your property on the market. Failing to prepare, is preparing to fail. That pretty much sums it up. No matter the size of your property or it’s location, no one is going to want to rent out a place that is not maintained and not up to standard. The first thing you should do before making your property available for rent in Malta is to clean up and make sure that all appliances are working and in great condition. Once your place for rent in Malta has been straightened out, compile a list of what really makes the property so alluring. Jot down your property’s main features, such as the number of bedrooms, air conditioning and garage space. It’s all about making your property in Malta appeal to whoever’s interested and make it seem as though it’s the best rental out there! 2. Work with a real estate agent in Malta - Contact the Quicklets crew! What better way to rent out your property in Malta, than by getting in touch with the experts? When working with Quicklets, our experienced real estate agents in Malta possess a broad understanding of the local property market, helping you build valuable relationships. Whether you own a property with a pool in Mosta, a penthouse in St. Julians or a farmhouse in Gozo, rest assured, the real estate agents at Quicklets know exactly who’s interested and where to find them. We are the go-to guys for anyone looking to rent a property in Malta. 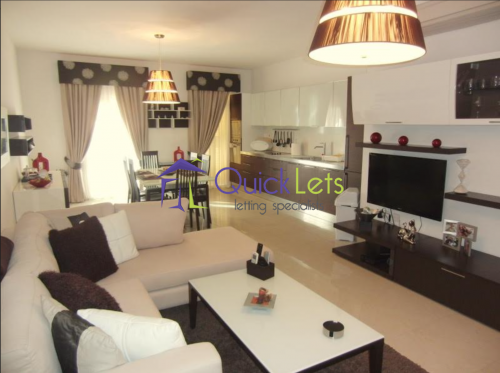 Our job at Quicklets is to act as an intermediary between the lessor and the lessee, making your property for rent in Malta available to a ton of potential clients! Deciding on a rental price to charge can be quite a tough nut to crack. It’s completely normal for you as a property owner to want to charge more. Just like everyone else, you would probably want to make the most profits from your property for rent in Malta. Nonetheless, you should always keep in mind the fact that overpricing your property might not always be the smartest move. Pricing reasonably will help you attract more tenants and speeds up the rental process, making it easier for all parties. · Set your rent based on real estate amenities. · Analyse competition and price your property for rent in Malta accordingly. · Keep in mind that the right price attracts tenants. · Understand the demand for your property. · Consider any maintenance and repairs for your property. Protecting your rental property with the correct insurance policy is incredibly important, and something that every landlord needs to do. Insurance protects your property for rent in Malta and everything inside it, including fixtures, fittings and all of your belongings. It covers all the damages to your property caused by fire and bad weather, and will protect your possessions against theft and any other losses. Most people work exceptionally hard for their property and it can take several years to build. However, like anything else in life, your property is at risk from dangers which are often beyond your control. That said, having a proper insurance policy in place is always a safe option and a definite requirement when renting out your property in Malta. As soon as you’ve got everything sorted, your property is looking sharp, and is ready to hit the market, start looking for a tenant. Choosing the right tenant is definitely one of the major aspects which you must carefully consider when renting out your property in Malta. Be sure to find a tenant who is trustworthy and will treat your property with the same respect that you would. This needs to be a person who you can depend on to pay their rent on time and not cause any damages. Here’s a list of the things you should consider when screening potential tenants for your property in Malta. · Check out the tenant’s employment history. · Names and numbers of previous real estate landlords. · Have a look at the tenant’s credit history. · Perform a criminal background check. · Choose a tenant who is consistent. · Consider the tenant’s rental history. There you have it! Our top 5 tips on how to successfully rent out your property in Malta. If you are looking for an experienced real estate agency to help guide you through the process of renting your property, then look no further. At Quicklets, we purely focus on lettings, ensuring that your property is rented out in a quick and convenient manner. Make sure that your property for rent in Malta is in prime condition before any viewings. Real estate agents in Malta have a genuine insight into the property market and can help you build meaningful connections. Pricing your rental correctly for your property in Malta will help you attract tenants. Just in case your property gets damaged, insurance guarantees that all losses are covered. Choose the right tenant who will respect your property and pay their rent on time. Looking to rent out your property in Malta? Get in touch today. Team Awesome would love to help!